VANCOUVER -- Lynne Kent says owning a home in Vancouver that's valued at $4 million isn't the blessing it may appear to be. She and her husband are among a small group of homeowners in British Columbia facing a tax bump on homes assessed at over $3 million who say they simply can't afford it -- a claim that some are questioning. "I think the whole property value escalation is more of an albatross than a benefit, and have seen it that way because this whole escalation is really pushing us out of our home," said Kent, 71. The school tax increase introduced in the B.C. budget would be set next year at 0.2 per cent on the portion of property valued above $3 million. It would increase to 0.4 per cent on the portion above $4 million. For the Kents, that would mean an extra $2,000 annually. Kent and her husband bought their three-bedroom bungalow in the Kitsilano neighbourhood in 1972 or 1973 for about $40,000, which was their household income at the time. They renovated the 1923 home in 1982, themselves. As retirees, they live on Canada Pension Plan and Old-Age Security payments, plus some savings, she said. They could sell their home, and are eligible to defer both the new tax and property taxes, but Kent says that's not the point. "We raised our kids here, we have grandkids who are in university, who are part of our family life here. We hope to have great-grandkids here. It's our home. We didn't buy it as a money-making asset, we bought it as a home," she said. Kent said she disagrees with the concept of deferring taxes on an ideological basis, since it means the province is stuck with the tab in the meantime. "We want to pay our taxes. It's not that we don't want to pay our taxes, but we want them to be fair," she said. The school tax sparked a protest last week that prompted Attorney General David Eby, who represents many multimillion-dollar home owners in the riding of Vancouver-Point Grey, to cancel a town hall because of security concerns. A online petition with almost 13,000 signatures characterizes it as a cash grab on a "vulnerable minority" that disregards incomes, financial circumstances and the ability to pay. But Brendon Ogmundson, deputy chief economist for the British Columbia Real Estate Association, says he thinks the tax has been blown out of proportion. It will be rare that someone who owns a home valued at more than $3 million can neither afford the tax, nor defer it, he said. "There's going to be cases where it might be true, for whatever reason, that there's a hardship. And the government should look at those cases. But in general, we're talking about very wealthy households, whether they got there through income or the increase in their home prices," Ogmundson. The tax will affect fewer than three per cent of homeowners in the province, he said, and therefore won't have much of an impact on the real estate market, if any. 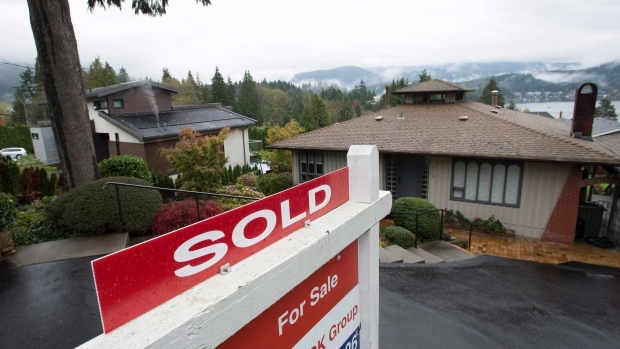 Tom Davidoff, associate professor of strategy and business economics at the University of British Columbia's Sauder school of business, said the tax is so low, relative to property values, that it will be negligible even after many years of accrual. Davidoff said it's a smart tax for places like Vancouver, where housing supply is limited and it's difficult to build more because of limited space and zoning restrictions. "If you tax a $4-million house, other than the person in the house who has to pay the money, which of course is a negative for them, nothing bad happens in the economy," he said. "When you do income taxes or sales taxes, you can chase away actual economic activity." Paul Kershaw, founder of Generation Squeeze, said the net wealth in homes today has increased in B.C. by over $650 billion in the past four decades. One third of that wealth has gone to people over 65 and five per cent has gone to people under 35, he said. While he said he understand seniors' concerns about the school tax, it's a problem that many people would like to have. "There are literally hundreds of thousands of younger British Columbians and renters of all ages who would love to see their standard of living shrivel before their eyes in a way that actually nets them over $5 million, while they were sleeping and raising their kids and watching their televisions and cooking in their kitchens, because that is how this wealth accumulation has unfolded," he said. Even if the bubble bursts and the value drops by half, many of those homeowners will still have a couple of million dollars in their pockets if they sell, he said. Some are still wary, however. Kris Sims, B.C. director of the Canadian Taxpayers Federation, says it could represent a slippery slope to an extension of the tax to less expensive homes. And she pointed to families not unlike the Kents, who have children and want to pass their homes on to the next generation, which may not be able to afford the taxes on them. From Sims' view, it doesn't matter if a home is assessed at $8 million. The homeowners don't deserve a "surprise" $16,000 new tax each year, she said. "On paper, their homes have ballooned in assessed value," Sims said. "That is why this is really unfair, because it's based on assessed value, not (price) when it's sold."